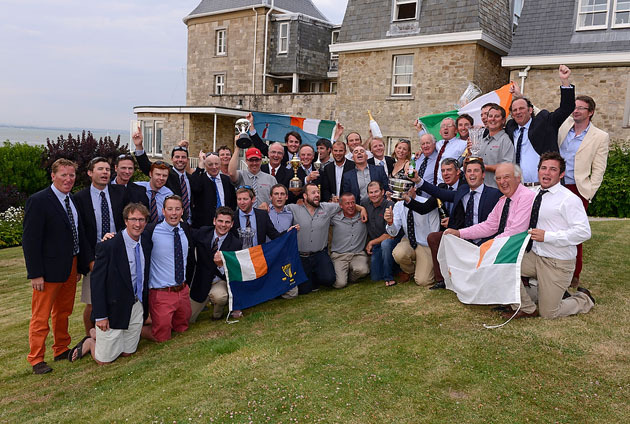 This Thursday evening at 20.30 hrs the Club will host a reception for the victorious Brewin Dolphin Commodores’ Cup Team. The Admiral would like to invite all Members to join us in celebrating the outstanding achievements of Anthony O’Leary and his team in winning this wonderful event. What more could anyone ask for?? Comhghairdeas Foireann Éireann, Félicitions Équipe Irelande, Congratulations Team Ireland!! !